When it comes to the wondrous world of home design, few opportunities excite us more than the prospect of building from the ground up. But where to begin? 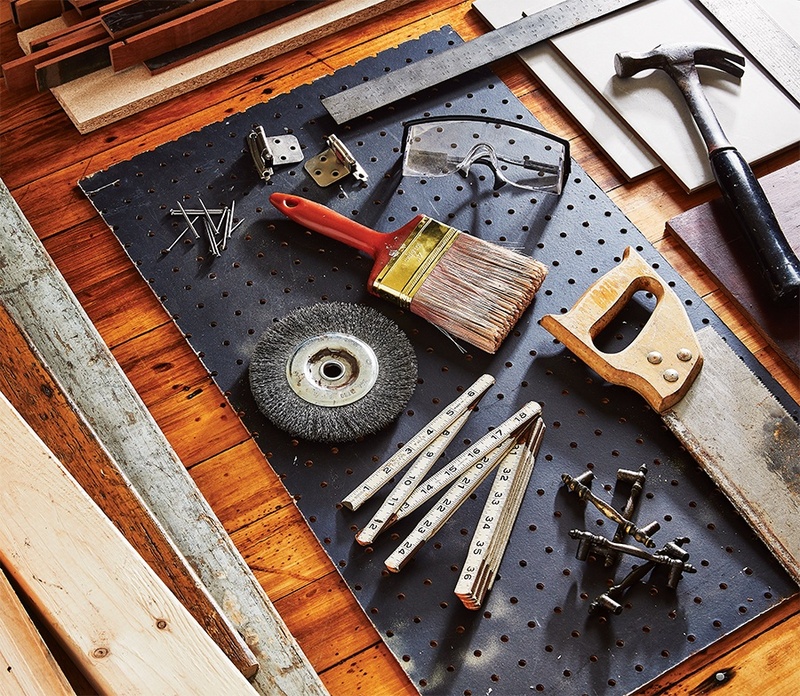 Luckily, we’ve done that research for you: Packed with 68 of our favorite local designers, builders, shops, and more, here’s everything (and everyone) you need to know to build—or remodel—the home you’ve always wanted. Sustainable-design champions, masters of classic New England style, and the brains behind the area’s most covetable contemporary abodes. Cape Cod may be a vacationer’s haven, but even life in paradise presents its challenges: eroding soil, corrosive salt spray, nosy neighbors. Enter Hutker Architects, the Falmouth- and Vineyard-based firm that specializes not only in jaw-dropping homes but also in deft solutions to the perils of coastal living—in one case creating a light-filled West Tisbury abode with an ingenious wheel-and-spoke design that yields both stunning water views and plenty of privacy. 533 Palmer Ave., Falmouth, 508-540-0048, hutkerarchitects.com. Many of the most successful contemporary designs blur the lines between indoors and out. Maryann Thompson’s projects achieve that every time, creating what she calls “unfolding spatial sequences.” This intentional ambiguity pervades her sleek coastal retreats, suburban creations, and city residences: Even in her own home in Somerville, she dreamed up an unapologetically modern addition by removing walls that blocked southern light exposure and opening the space up to the outdoors. 741 Mt. Auburn St., Watertown, 617-744-5187, maryannthompson.com. Perhaps you’ve admired Wolf in Sheep Design’s work without even realizing it: Founder Alina Wolhardt’s striking schemes are cropping up all over town, from the playful tile tangrams and custom succulent arrangements festooning Flour’s cafés to the custom live-edge-walnut-and-metal counter at buzzy new wine bar Nathálie. Wolhardt translates her vision to residential interiors by seamlessly blending the fun and the functional. 59 Wareham St., Boston, 617-482-0517, wolfinsheepdesign.com. When you trust Metropolitan to design your kitchen, you won’t just get a custom layout with cabinetry crafted in the firm’s Norwood workshop—you’ll see your space transformed with personalized accent pieces and cutting-edge fixtures (think: designer Bridget O’Neil’s PRISM Award–winning quartz sink complete with a pop-up outlet). This family business excels at everything and the kitchen sink. 505 University Ave., Norwood, 781-949-8900; 450 Arsenal St., Watertown, 617-926-8900; and other locations; metcabinet.com. The modern green spaces envisioned by SiteCreative’s Stephanie Hubbard speak volumes about the landscape architect’s mastery of material selection and scale. And she’s not limited by setting, either: Her design prowess, cultivated over the past two decades, shows whether she’s creating an intimate patio anchored by ceramic pavers, Jacquemontii birches, and soft lighting on Beacon Hill or a zoned yard in the ’burbs with separate areas for lounging and dining. 535 Albany St., Boston, 617-390-5663, site-creative.com. Some designers use “sustainable” as a keyword; others use it as a guiding light. A founding member of the Cape & Islands Green initiative, architect Jill Neubauer has a commitment to green building that runs deep, opting for low-footprint materials (FSC-certified lumber, no-VOC paint) and incorporating such alternative energy systems as solar electricity and even residential wind turbines. With highlights including a modern Truro summer home boasting geothermal heating and cooling, Neubauer’s work proves that sustainable design can be far more than merely virtuous—it can be a thing of beauty. Leave it to Catalano Architects to perfect the art of timeless design. Eschewing the culture of sameness that seems to pervade American architecture (looking at you, McMansions), principal Thomas Catalano expertly executes traditional beauty in both his classic renovations and newly built single-family homes. Take, for example, a manor in Weston, where Catalano’s use of materials—including Wissahickon schist, Vermont slate, copper, and sustainably harvested wood—results in a stunning display that will dazzle visitors for years to come. 115 Broad St., Boston, 617-338-7447, catalanoarchitects.com. Say what you will about the Boston Brahmins, they sure knew how to build things meant to last—whether endowing the BSO or erecting the brownstones of Beacon Hill. Perhaps channeling the spirit of the Cabots and the Lowells, Paula Daher taps into a timeless aesthetic: Though she’s no stranger to modern sensibilities, her judiciously chosen antique furnishings and artfully hung chandeliers prove that sometimes the best way to take a space to grand new heights is to look to the past. 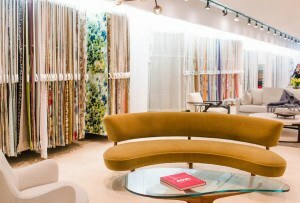 224 Clarendon St., Boston, 617-236-0355, daherinteriordesign.com. Balancing her understanding of the necessities of modern living with a deep appreciation for historical details and environments, Catherine Truman masterminds artful spaces that combine the best traits of contemporary and classic design. To wit: the gut-renovated Back Bay home where glass handrails, a double-height atrium, and a hidden climbing room stun within the envelope of a 19th-century townhouse. 29 Warren St., Cambridge, 857-285-2500, truman-architects.com. There’s so much more to interior design than simply filling a space with beautiful things. Thankfully, Dee Elms adopts a more holistic approach, carefully considering each design element to craft cohesive homes that marry old-school glamour with contemporary functionality. 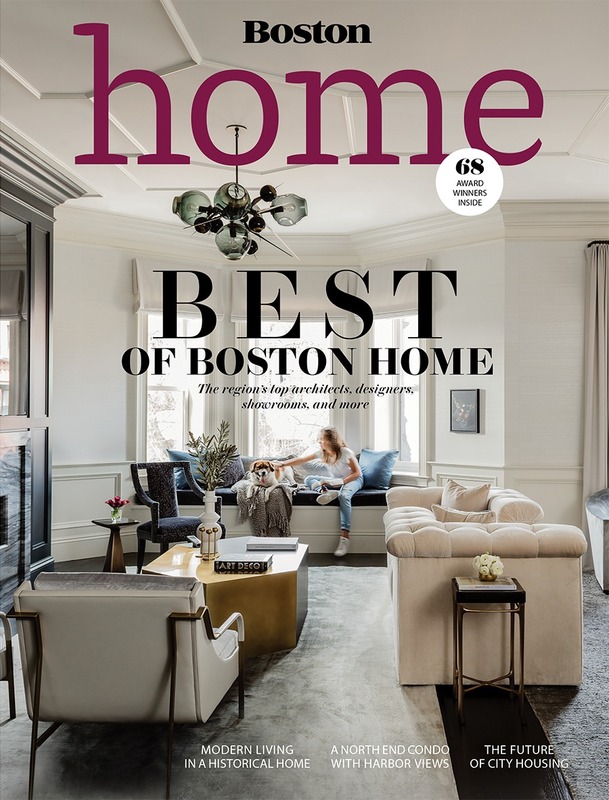 Take, for example, the Boston abode that the designer—along with fellow Best of Boston Home honoree JW Construction—transformed with custom furnishings, graphic wallcoverings, new ceiling trim work, and (most important) a unifying gray palette. 535 Albany St., Boston, 617-451-1555, elmsid.com. Cofounders Pamela Butz and Jeffrey Klug hold beauty and utility in equally high regard, using natural materials to foster a connection to a home’s surroundings. Their outlook is especially valuable in creating one-of-a-kind city living spaces. Who else could so masterfully carve a strikingly modern home—complete with sandblasted glass floors in its courtyard—out of a historical Beacon Hill townhouse? 157 W. Newton St., Boston, 617-536-7399, bkarch.com. Patrick Ahearn’s work feels so distinctly New England—and that’s exactly what we love about it. 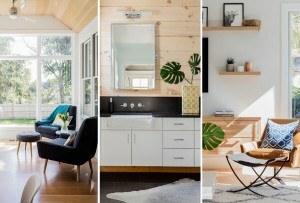 From new builds that play well with their historical neighbors to lovingly renovated farmhouses, Greek Revivals, and seaside cottages, the team’s inspired projects—replete with antique flooring, classic beadboard paneling, and majestic double-height great rooms—honor the region and design traditions we’re proud to call our own. 160 Commonwealth Ave., Boston, 617-266-1710, patrickahearn.com. Heirloom furnishings you won’t find anywhere else, time-honored craftsmanship, and the most sought-after green thumbs in town. After almost two decades of designing both analog and automated window solutions from its Ashland studio, Thread champions going above and beyond with its finishing touches: hand-tacking draperies, delivering perfectly pressed curtains, and even installing brand-new treatments. Whether your bay windows or your sun porch could use some love, Thread will serve up top-notch custom pieces—replete with hand stitching—to complement your windows. 200 Butterfield Dr., Ashland, 508-429-5606, threadworkroom.com. How many entrepreneurs can say that their business originated from a cross-country motorcycle ride? Helmed by master craftsmen—and former road-trippers—Daryl Evans and Richard Hulme, Masterpiece Woodworks has spent nearly four decades realizing one bespoke piece after another: a mirrored dressing table here, a leather-inset writing desk there, and plenty of sleek wood dining tables in between. And with a history of producing large-scale work, such as home-library paneling and sliding pantry doors, the firm’s prowess can actually fill a room. 65 Bodwell St., Avon, 508-580-0021, masterpiecewoodworks.com. A shining example of local talent since its inception in 2008, Stack + Co. asserts its dominance over would-be rivals with one of the most compelling (and diverse) portfolios of any design-build firm in town. You’ll find their elevated schemes—distinctly contemporary, with large swaths of glass, wide-open layouts, and minimalist finishes—everywhere from private homes in and around the city to popular eateries such as Fort Point’s Bon Me. Talk about range. 555 E. 2nd St., Boston, 800-265-3884, stackac.com. It’s your castle: It should be what you want. The team at Windhill Builders takes that philosophy to heart, dreaming up and giving life to creative, thoughtful spaces customized to your vision. Whether it’s a revamped 18th-century farmhouse with antique beams and handmade soapstone counters or a modernized Colonial with cantilevered vanities and vessel sinks, your dream home lies within reach when this firm takes the reins. 16 Market St., Ipswich, 978-356-8988, windhillbuilders.com. Elegant yet approachable. That’s how we’d describe the light-filled homes designed by this Cape-based firm, overseen by veteran architects (and respective Harvard and MIT alums) John Ingwersen and Peter Haig. The talented team exercises careful restraint in their new builds and remodels, creating inviting spaces—many showcasing beautifully proportioned windows, lofted ceilings, and fine millwork—that quietly impress. 62 Route 6A, Orleans, 508-255-0606, ad-archts.com. Hawthorn Builders brings subtlety to the teardown era. Clean and modern, the Needham-based firm’s new constructions and renovations—from classic Colonials to updated farmhouses—are thoughtfully scaled and avoid the gaudy bigger-is-better approach. Service is old-fashioned, too, with plenty of personal attention: As property developers, they work with prospective buyers in coveted locations to scout teardowns before they go on the market. 97 Chapel St., Needham, 781-707-6564, hawthorn-builders.com. These South Shore rock stars have been keeping customers—and their floors—happy for more than 40 years. They’re willing to do as much or as little as needed, whether that be removing old flooring and then installing, staining, and finishing new planks with a dustless sanding treatment, or simply selling and delivering materials (DIYers are always welcome here). With two well-appointed showrooms in Cohasset and Halifax, the Doyle team is ready to address all your flooring needs, no matter how involved (or not). 130 King St., Rte. 3A, Cohasset, 781-584-7888; 572 Plymouth St., Halifax, 781-293-3026; doylewoodflooring.com. The lengthy list of FBN’s past and present collaborators reads like a who’s who of Boston’s design scene, giving credence to our wholehearted belief that—after 40 years in the biz—this powerful firm is still one to watch. 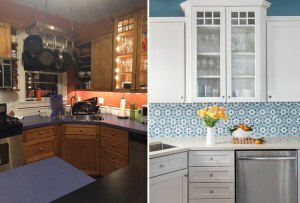 The scope of FBN’s work, which showcases a range of styles and aesthetics, stands out, too: The company’s extensive remodeling experience runs the gamut from a clean-lined modern kitchen with hardware-free cabinetry to a classic bay-windowed sitting room dressed up with decorative molding. 17 Wolcott Ct., Boston, 617-333-6800, fbnconstruction.com. 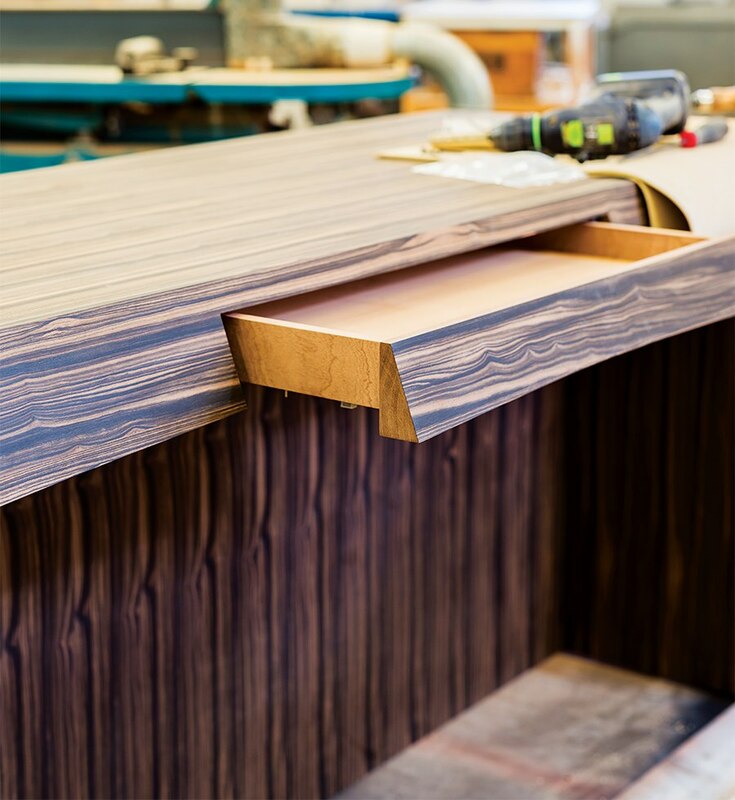 It’s no surprise that craftsmanship tops the list of priorities for this Burlington-based firm, helmed by Jon Wardwell. Each of its projects—brought to life by an in-house team of carpenters, masons, painters, and other skilled workers—feels polished and sophisticated, no matter the scope or scale. One portfolio standout? A stunning double-height entrance hall, decked out with crisp white millwork and dark wood accents. 12 Garfield Circle, Burlington, 617-547-2800, jwconstructioninc.com. The builders behind some of the area’s most impressive abodes (including interior designer Lindsay Bentis’s reimagined Newton ranch), Steven Overstreet and his team excel in all areas of the construction process, but they demonstrate a particular aptitude for breathing new life into tired spaces. 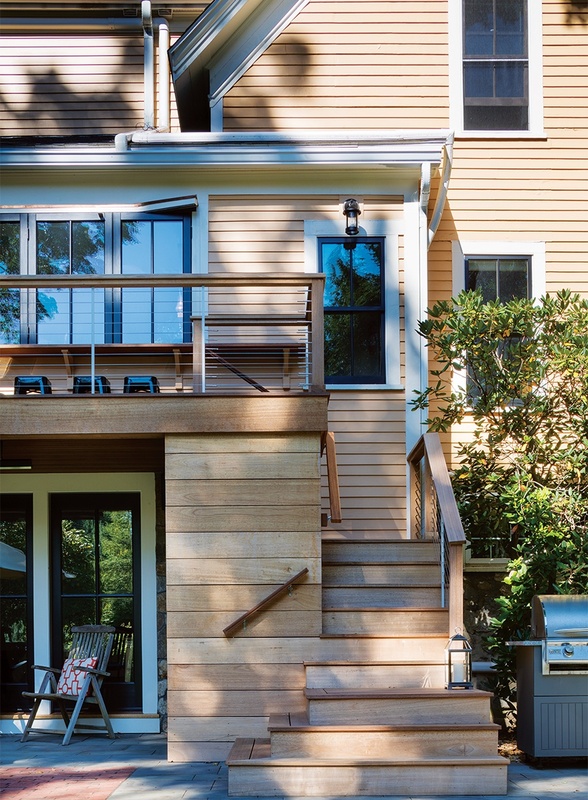 Most recently, we swooned over the firm’s work in a 1925 Colonial, revitalized with a four-foot bump-out, reconfigured layouts, and custom built-ins. 43 Walnut St., Stoughton, 781-818-6285, sjoconstruction.com. Soaring new builds, antique farmhouses, even custom carriage houses: This versatile company, overseen by meticulous former boat builder Jonathan Merz, makes design dreams reality. They shine in historically significant neighborhoods, where honoring the landscape—while still standing out—is important. Bonus: a responsive maintenance department that’s available to answer questions about your masterpiece long after the sawdust settles. 168 Bingham Rd., Carlisle, 978-371-1828, merzconstruction.com. You won’t find prefabricated pieces at Crown Point Cabinetry. 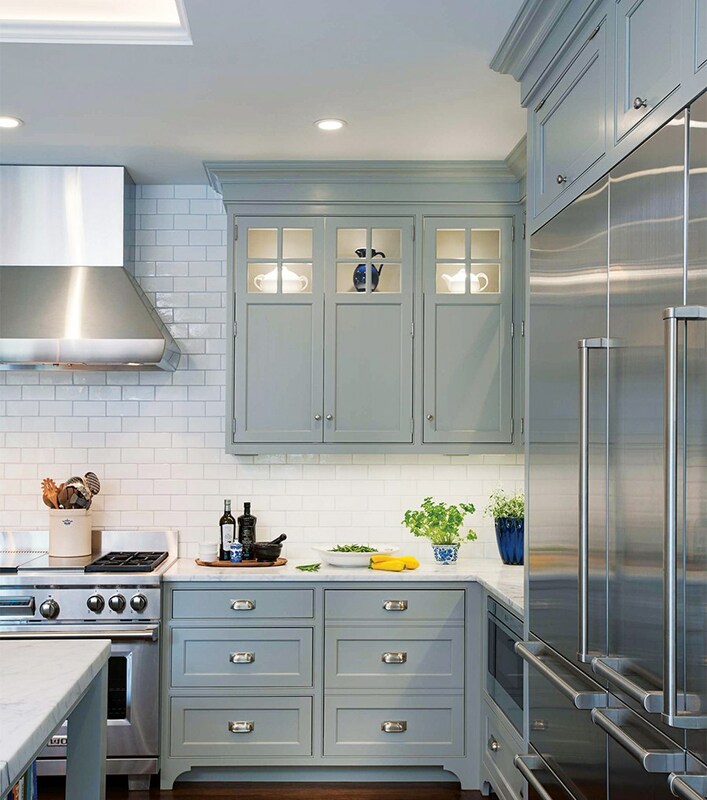 Based in New Hampshire but no stranger to Boston-area projects, this family-run business custom-designs and builds all of its cabinets before adding hand-stained finishes and patented hinges designed to last. Pro tip: Choose one of the reclaimed woods from the company’s “Vintage” collection to create a rustic-chic kitchen that’s easy on the environment. 462 River Rd., Claremont, NH, 800-999-4994, crown-point.com. The mindful craftspeople at this multi-talented Woburn firm can design, plan, and build everything under the sun. Channeling what the team calls a “balance of art, science, and nature,” Zen’s horticulturists, landscapers, and masons create livable (and decidedly Instagrammable) green spaces with specimen trees, lush grasses, enchanting florals, and Japanese rock gardens. Sign us up. 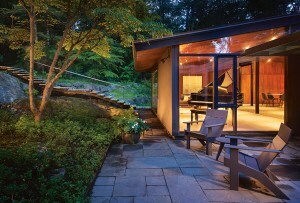 10 Micro Dr., Woburn, 800-834-6654, zenassociates.com. You’d be hard-pressed to find a landscaping firm that offers more than Seoane. Run by brothers Dave and Lou, the Abington-based team can build you a custom outdoor kitchen, fashion walls from local fieldstone, mastermind idyllic ponds with greenery and rocks, and whip your property into shape with lush new plantings—all while running a retail center stocked with trees, shrubs, and perennials. 551 Bedford St., Abington, 781-878-1306, seoanelandscape.com. Working with A Blade of Grass is like giving your yard a shot of Botox: transformative. They’ll design, cut, and clear to frame your abode in its best light, whether the job calls for a complex overhaul or simple pruning. From restructuring a Dover yard with party-ready bluestone terraces to finessing a stately Wellesley Hills home with neat rows of boxwood, they’re versatile enough to make any property feel like a clean, crisp garden estate. 9 Old County Rd., Sudbury, 508-358-4500, abladeofgrass.com. Modern practitioners of the ancient art of woodworking, this Woburn-based team specializes in re-creating fine historical details—a valuable skill in a region teeming with centuries-old homes. 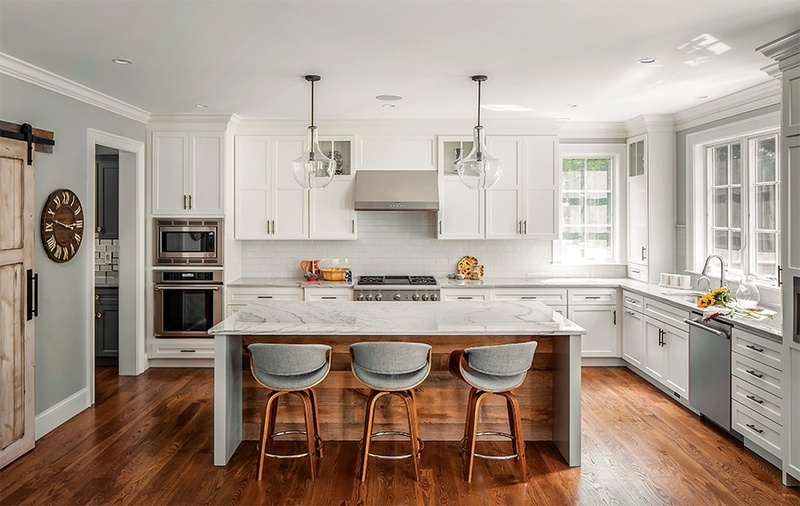 But their expertise (which also includes custom moldings, casework, and trim work) translates to contemporary settings, too, such as a South End kitchen they helped modernize by carving a dining alcove out of a wall of beech-veneered cabinetry. 5 Conn St., Woburn, 508-776-2928, kidderblaisdell.com. Your name will land among gymnast Aly Raisman’s when you choose Boston Counters—the team behind the stonework in the Olympian’s childhood home in Needham. This Woburn-based company offers a large selection of countertop materials, including such eco-friendly options as IceStone, made out of recycled glass. From meticulously cutting marble for a cantilevered vanity to seamlessly installing “Wicked White” quartzite counters in an open-to-the-elements kitchen, the team deserves a perfect score. 78H Olympia Ave., Woburn, 781-281-2652, bostoncounters.com. Locally made furniture, dazzling light fixtures in an array of styles, and luxe designer fabrics you’ll want in every pattern and color. A trip to Brodney feels like visiting the grand townhouse of a world traveler. 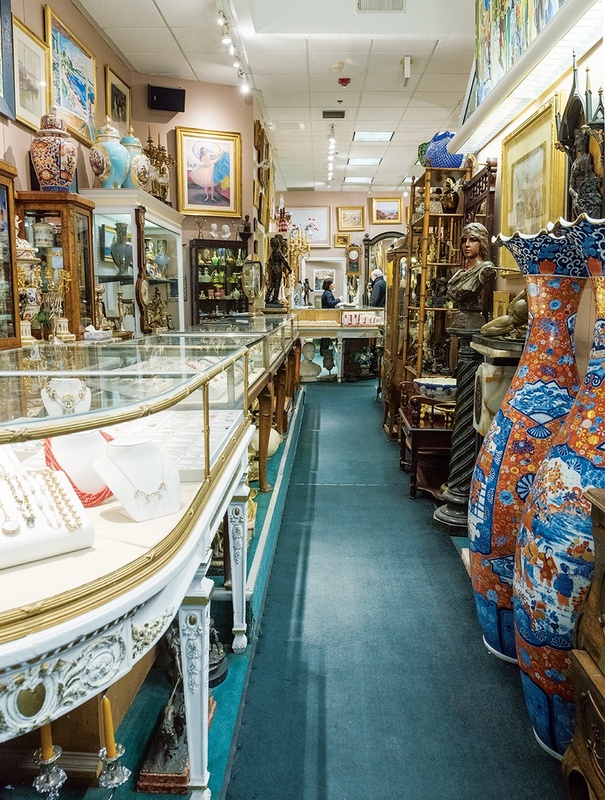 Thanks to more than 75 years of curating, the cases of this family-run Back Bay institution yield treasures from near and far: 19th-century Japanese tea sets, silver English candelabras, and porcelain Tiffany mantel clocks worthy of even the most discerning collector. 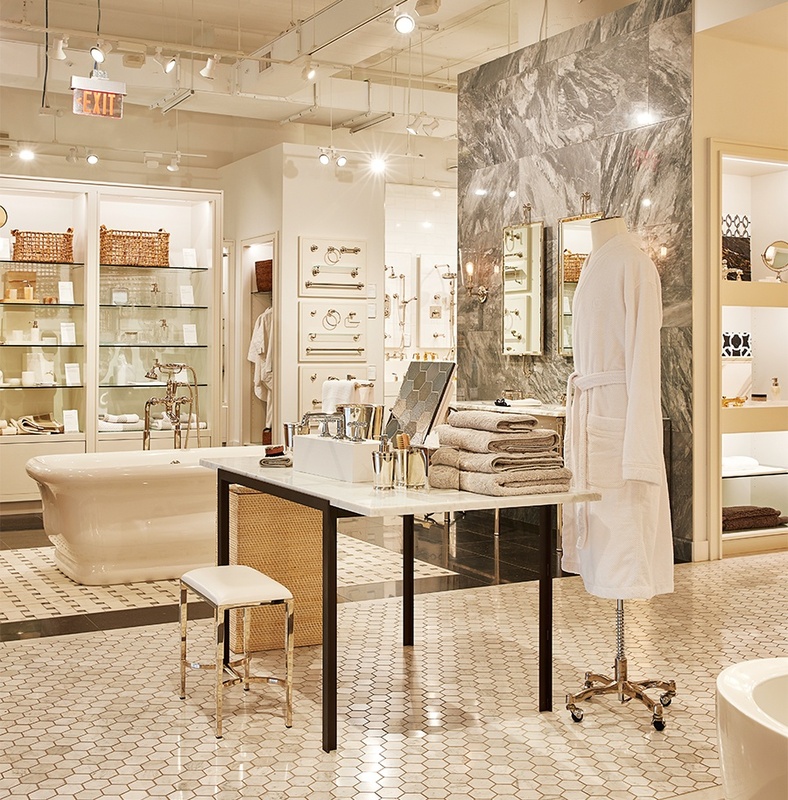 Freestanding soaking tubs, indulgent towel warmers, and luxe washstands accented with gold piping await you at Waterworks, where staffers help you navigate myriad options for outfitting your very own at-home spa. With an Egyptian cotton bathrobe added to your purchase, all that’s left to buy is the vino. Boston Design Center, One Design Center Place, Ste. 19–120W, 617-951-2496, waterworks.com. You don’t have to be a first-time customer to appreciate the beauty of Landry & Arcari’s Stuart Street showroom, where finely crafted rugs lounge in grand heaps upon hardwood floors. If you’re anything like us, the colorful selection of bold Moroccan weaves, hand-knotted antique runners, and Persian gabbehs—not to mention the approachable and well-versed staff—will delight again and again. 333 Stuart St., Boston, 617-399-6500; and other locations; landryandarcari.com. It’s hard not to feel inspired when browsing the displays in Studio 534’s Design Center showroom. With a multitude of color- and texture-rich textiles from designers including Holland & Sherry, Perennials, and Lincoln-based Mally Skok, the space is a hotbed of creativity, spurring ideas for upholstered pieces and drapery you didn’t even know you wanted. Boston Design Center, One Design Center Place, Ste. 534, Boston, 617-345-9900, s5boston.com. 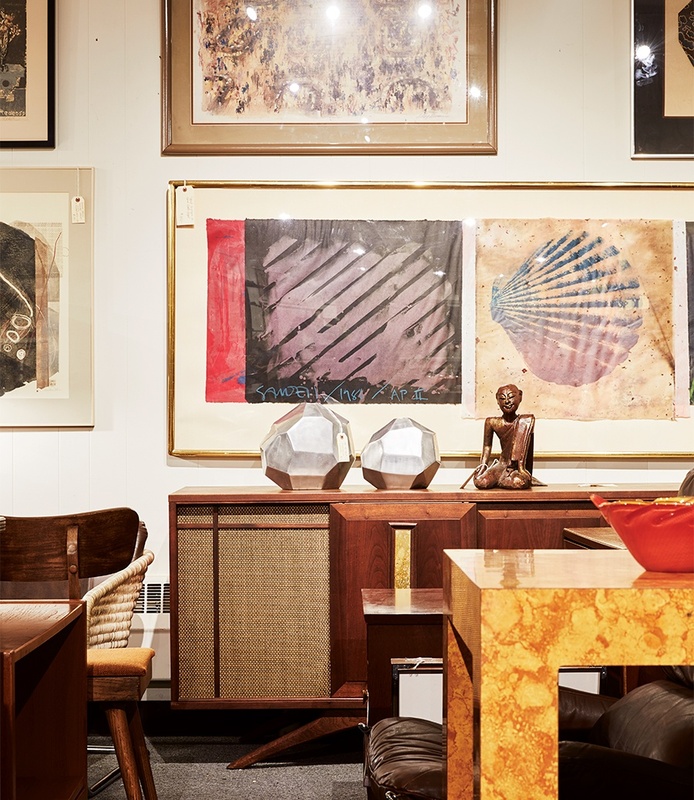 Specializing in pieces from leading modernist designers, this Cambridge furniture haven is more like a museum than a housewares store. Searching for a Philippe Starck “Ghost” chair, perhaps? Reside’s got ’em in orange and green. Or what about a marble-and-metal magazine rack that looks like something straight out of Tony Montana’s mansion? Wander through Reside’s eclectic tableaux, and you’re bound to strike gold (or marble). Mother-of-pearl-accented door handles. Furniture knobs inlaid with crisp portraiture. Key escutcheons that look like something Scheherazade conjured up in The Arabian Nights. This distinguished Charles Street showroom houses multitudes of period-specific treasures, all of which could add some serious wow factor to your next project. That’s why designers from around the region flock here in droves—the selection of quality, covetable wares just can’t be replicated. 38 Charles St., Boston, 617-722-0230, erbutler.com. Step inside this cozy South End boutique, where you’ll be tempted to purchase locally made tapas plates, sniff the hand-poured candles (Boy Smells, anyone? ), and wrap yourself in an alpaca throw. Owner Jill Goldberg will warmly greet you, and if you’re lucky, her dog Rufus will be there to give you a welcoming wag, too. If not, you can always pick up a handmade “Rufus” stuffed animal for the kiddos. We’ve long sung the praises of this Dorchester showroom, a designer go-to for some of the finest appliances money can buy. This year, we’re tipping our hats to Yale’s extensive lighting collection, which outshines the competition with more than 3,000 fixtures (LED wall sconces, Arts and Crafts–style outdoor lanterns, sculptural pendants) from big-name brands including Visual Comfort & Co., Hudson Valley Lighting, and Tech Lighting. 296 Freeport St., Dorchester; 215 Worcester Rd., Framingham; 617-825-9253; yaleappliance.com. With endless options out there, we understand if the thought of hunting for the perfect tile for your kitchen backsplash or shower walls feels a little overwhelming. Ann Sacks eases that pain with rows of glossy, metallic, and matte numbers organized by material (glass, concrete, porcelain). Shopping on a deadline? Opt for one of the models in the “in-stock” section for speedy delivery. Boston Design Center, 21 Drydock Ave., Ste. 120E, Boston, 617-737-2300, annsacks.com. The Phillip Jeffries empire has grown by leaps and bounds over the past four decades—and it’s easy to see why. Stocking seemingly limitless options in linen, vinyl, and the brand’s signature grasscloth (among other coveted materials), the family-run company commands attention from designers the world over. Head to the Design Center—home to Phillip Jeffries’s first independent showroom—to browse daring botanical prints, classic neutrals, or the new menswear-inspired “Kensington” collection. Boston Design Center, One Design Center Place, Ste. 526B, Boston, 857-250-4340, phillipjeffries.com. If shop owner Tom Lang’s cheerful demeanor doesn’t make antiques approachable, nothing will. The 19th-century church turned showroom that houses his collection bursts with impeccably displayed relics (brass-and-marble candelabras, mahogany sideboards, gilded mirrors) without feeling stuffy. With a collection of hand-selected, one-of-a-kind pieces from the 17th to 20th centuries in Period English, European, and American styles, Lang believes that antiques “speak for people and their times.” We’re listening. 18 Eastern Ave., Essex, 978-335-0477, perimlang.com. 97 River St., Beverly, 800-649-2284; 604 Pleasant St., Watertown, 800-499-2284; designerbath.com. No more scratching your head over rug styles and weaving techniques: The Dover team knows the product inside and out, imparting wisdom and design assistance as impressive as the globally sourced inventory itself. Browse the showroom for any number of hand-knotted rugs from such far-away lands as Nepal and Pakistan. And if you don’t see a model you like, Dover can custom-cut and finish one for you. 15 3rd Ave., Burlington, 781-273-1500; and other locations; doverrug.com. Grab a map from the front desk and explore this 40,000-square-foot warehouse, where more than 50,000 fabrics (that’s over a million yards) overflow from steel drums and tall metal racks. You’ll find styles from vintage to avant-garde, rich leathers to exquisite silks, all organized by weight, type, and color. Service is also exceptional: With a team of onsite designers to edit your choices and walk you through custom upholstery options, the fourth-generation business covers all the bases. 80 Market St., Lynn, 781-598-9432, zimmans.com. There’s no arguing the superiority of handmade goods, let alone the appeal of supporting local makers. The selection at Circle Furniture checks both boxes: Crafted almost exclusively by New England–based artisans, the refined assemblage includes chic sectionals with brass-finished legs, timeless walnut buffets, Shaker-style armoires, and solid-wood barstools. 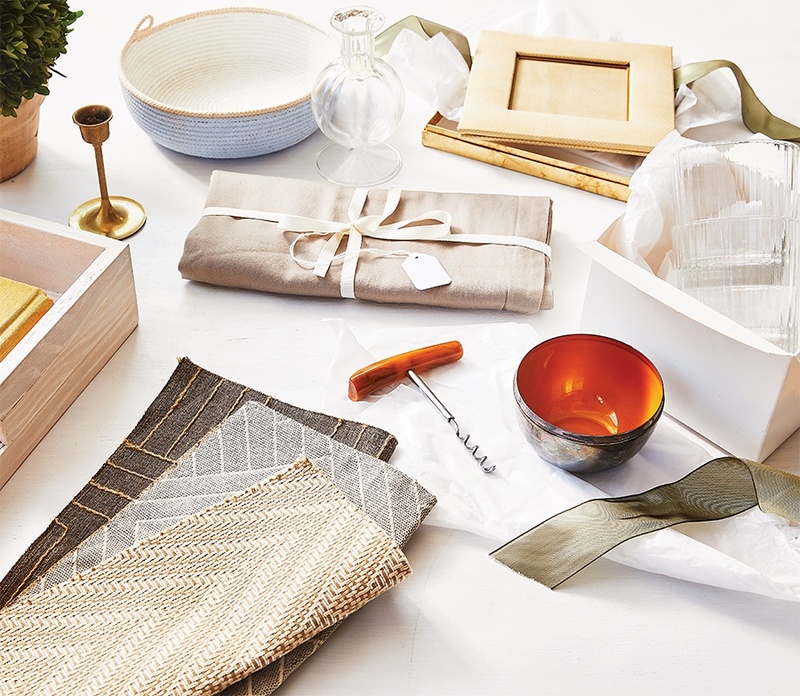 The retailer is a founding member of the Sustainable Furnishings Council, so your new treasures are likely to be eco-friendly, too. 237 S. Main St., Middleton, 978-777-2690; and other locations; circlefurniture.com. Stocking hardware from the likes of Valli & Valli, Alno, Top Knobs, and Atlas Homewares, this North Shore showroom specializes in little details that make a huge difference: modern acrylic drawer pulls, elegant Swarovski crystal knobs, and rustic bronze towel rings. 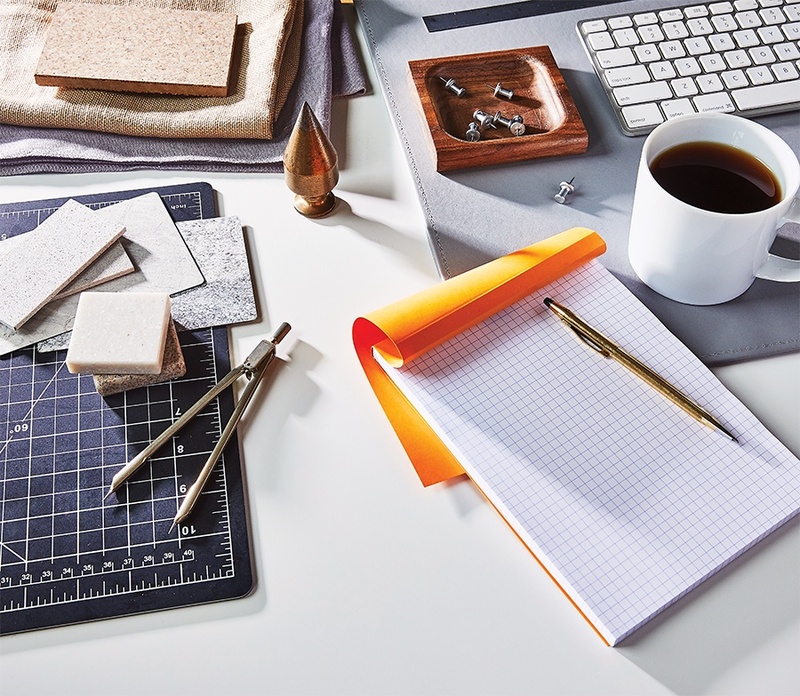 Choose from hardware in every style and finish imaginable, perfect for any project—whether you’re following trends or mastering the classics. 515 Lowell St., Peabody, 978-535-4035, zolotaskb.com. Stroll through this shop full of whimsical wares—cement planters shaped like owls, antiqued Roman wall clocks, colorful handwoven pillows—and you’ll immediately embrace owner Kim Tenenbaum’s motto of “peace + love + happy home.” Her collection of accessories runs the gamut from made-to-order artwork and terra cotta vases to beaded mirrors and funky wall décor. Here, you’ll find you’re in your element—even if that includes a driftwood pineapple. 19 Water St., Newburyport, 978-462-3333, urbanelementshome.com. This gigantic waterfront showroom is a dazzling display of light in all forms. Expect to find paper wall sconces, hand-blown glass chandeliers, replicas of centuries-old quatrefoils, and locally made table toppers. Plus, the friendly staff offers in-person design solutions, making the process of choosing among the store’s sparkling fixtures all the more pleasant. 38R Merrimac St., Newburyport, 978-499-9777, newburyportlighting.com. Porcelain, limestone, marble, quartzite, and glass mosaic: Every inch of this Danvers showroom brims with tiles and trims from top brands, including Walker Zanger, Island Stone, and SoCal-inspired Lunada Bay. Plus, staffers know a ton about the actual tile-making business, from the alchemy of glazes to the art of stone quarrying. 120 Andover St., Danvers, 978-750-6650, tile-by-design.com. Waters & Brown offers hundreds of wallpaper options, each displayed in catalogs you can peruse at its Salem and Beverly shops. The team constantly updates the selection with new looks (peep: Phillip Jeffries’s navy gridlock print, or pastel garden schemes from Thibaut) and removes discontinued ones, so there’s no chance you’ll fall for something you can’t have. Grab DIY supplies from the shop’s stocked shelves, or tap their designers for recommendations on local installers. 281 Derby St., Salem, 978-744-1007; 13 Elliott St., Beverly, 978-922-1007, watersandbrown.com. Build the Victorian boudoir of your dreams at this Seekonk antiques emporium: Start with a towering four-post bed, add an ivory-accented chest of drawers, and finish with a Heriz rug in complementary crimson. Or, if your tastes run midcentury modern, snag a brass bar cart and a leather club chair to outfit a den worthy of Don Draper himself. No matter what design era you adore, chances are Leonards stocks a stunning example of the period’s creations. 600 Taunton Ave., Seekonk, 508-336-8585, leonardsantiques.com. Estimates show that homeowners make more than 1,000 material, brand, and finish selections while building a house. Let this shop wash away the stress of choosing bathroom fixtures: Staffers will guide you to the perfect soaking tub or ThermaSol steam generator, then work with builders and plumbers to ease the installation process. 85 Accord Park Dr., Norwell, 781-878-3312, snowandjones.com. Complimentary in-home trials are just one of many reasons to shop this Norwell mainstay, which offers a roster of services as robust as its elegant inventory. Come for exquisite hand-knotted area rugs, lively patterned shags, or eco-friendly sisal carpeting, and leave knowing you can count on the store to repair or clean your precious new floor coverings should the need arise. 412 Washington St., Norwell, 781-659-0011, westoncarpet.com. First opened in 1988, this family-run business wins our vote for its vast library of fabric books, to say nothing of the thousands of samples customers can borrow from the store. 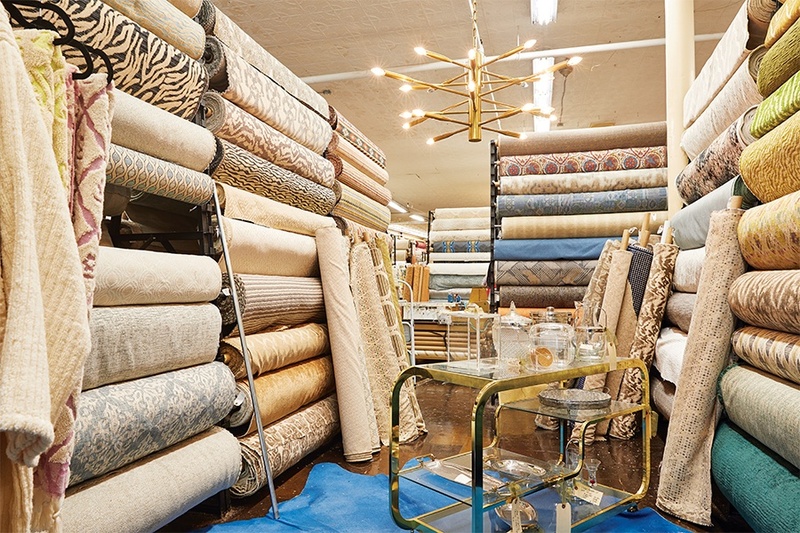 Walk the shop’s immaculate aisles; run your hands over plush styles from such designers as Duralee, Sunbrella, and Fabricut; and feel free to chat up the staff for ideas. Catering to both residential and commercial clients, they can easily advise on fabric types and upholstery options. 12 Thornton Dr., Hyannis, 508-778-2625, thefabricloft.com. Looking for furniture that has personality and taste? That’s Surroundings Home’s sweet spot: Here, modern prints, textures, and details grace everything from throw pillows to side tables. 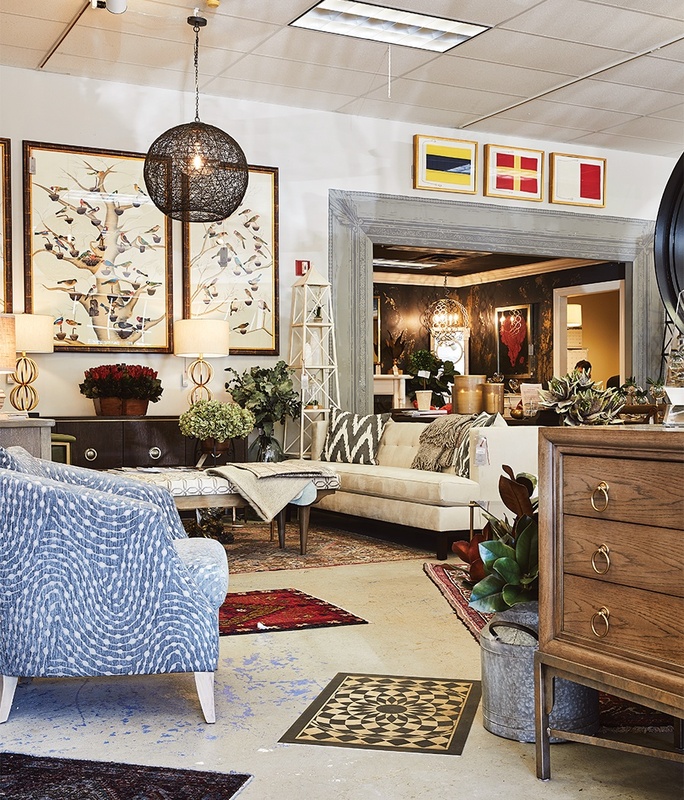 Of course, there’s nothing wrong with classics, and this Mattapoisett store has ’em in spades: sleek, lounge-able divans, herringbone rugs, and beaded chandeliers, to name a few. And what Surroundings doesn’t stock, it can easily create, thanks to its in-house design team. 81 1/2 Fairhaven Rd., Mattapoisett, 508-758-9933, surroundingshome.com. Lose yourself among the collection of eclectic home accents at the Queen’s Garden, named for the fresh blooms surrounding the shop’s original storefront in Norwell. Spread out across five floors and 8,000 square feet, the boutique (now located in Weymouth) stocks treasures such as framed seascape prints, jewel-toned dishware, and a distressed dining table crafted locally from reclaimed wood—co-owner Peter Murphy’s current favorite item. 21 Park Ave., Weymouth, 781-331-6272, thequeensgardeninc.com. 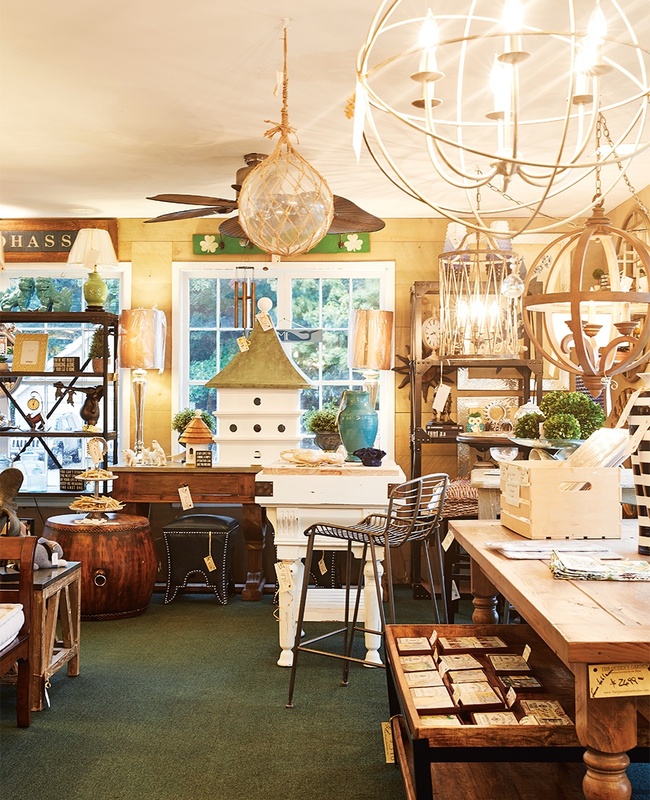 A perennial standout, this formidable Cohasset lighting shop continues to impress us with its decidedly elegant product offerings, flexible customization options, and throngs of happy customers. Cross the threshold of its quaint Elm Street storefront, and prepare to be inspired by a sparkling array of modern glass pendants, regal chandeliers, and shapely flush-mount fixtures in a range of styles and finishes. 24 Elm St., Cohasset, 781-383-0684, flemingslighting.com. Fifteen years ago, siblings Julie Ryan and Kristin Henaghan left the Boston Design Center to start their own company—and so began Classic Tile & Stone. This Hingham-based sister act will visit your home before sketching multiple design plans, whether you choose their etched marble or eco-friendly mosaics made from recycled windshields. 9 Whiting St., Hingham, 781-741-5230, classictile-stone.com. There’s no substitute for excellent customer service—and that’s exactly what you’ll find at Delicious Designs, a charming home-goods boutique and interior design firm in Hingham. Just one quick call with a friendly staffer about wallpaper options, and within minutes, we received an email with inspiration photos and details on the shop’s elevated selection, sourced from design-world heavyweights such as Thibaut, Kravet, and Christopher Farr. Impressive. 88 North St., Hingham, 781-556-5269, deliciousdesignshome.com. Descend upon Ramble Market and find yourself somewhere between 1960s Marrakech and Valley of the Dolls on acid. Creaky rooms packed with mustard-yellow Milo Baughman chairs, vintage sculptures of Shakespeare, turquoise Smith Corona typewriters, antique oil paintings, urns, and layers upon layers of Persian rugs tantalize and tempt. The objects are mystical and transporting, and so is the shopping experience. 39 Green St., Waltham, 781-790-5260, ramblemarket.com. Relief set in when we approached Monique’s for help with an outdated pink-tiled bathroom: This is a family-run place with a massive selection. 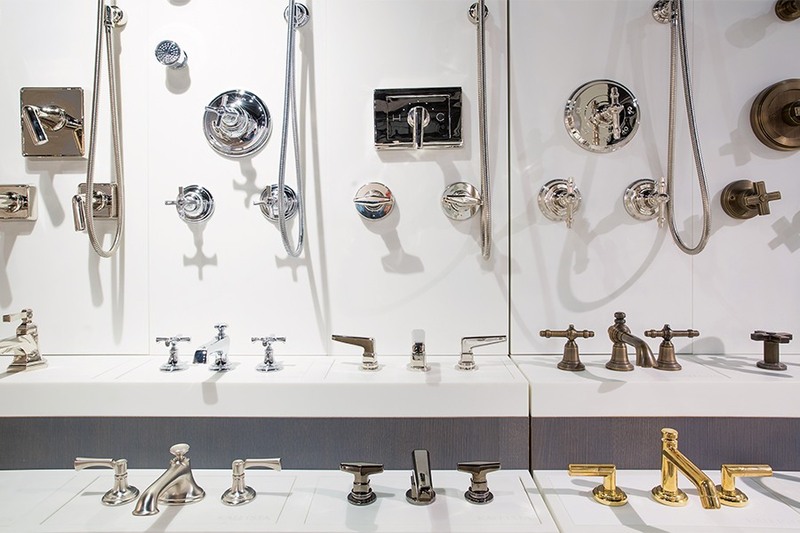 Make an appointment to browse everything from 19th-century French-style Herbeau bidets to contemporary brushed-nickel Graff faucets to Barclay claw-foot soaking tubs. Staffers patiently advise on your many options, and then set you up with neighborhood vendors such as LaFauci Tile & Marble for complementary touches. 123 N. Beacon St., Watertown, 617-923-1167, moniquesbathshowroom.com. This welcoming shop in Wellesley specializes in elegant Tibetan rugs, as well as bold, contemporary styles. They’ll also collaborate with you on custom pieces in whichever colors and dimensions you envision. No snootiness here, either: You can score amazing finds during the town’s summertime sidewalk sale. 19 Central St., Wellesley, 781-235-5996, faberrug.com. No, it ain’t fancy, but Fabric Place Basement in Natick is where those in the know, from interior designers to feverish DIYers, prowl for killer deals on miles and miles of designer fabric. Part of the excitement is the thrill of the hunt: Find everything from silk to velvet, plus trims, linings, and zippers. Contemporary? French country cottage? Mod fiefdom? It’s all here. 321 Speen St., Natick, 508-655-2000, fabricplacebasement.com. This Waltham showroom isn’t merely outfitted with furniture. It’s festooned with statements: textured consoles, Palecek lounge chairs, plush ottomans made with Mongolian sheepskin, Pop Art worthy of Warhol, plus in-house interior designers and an annex across the street with deep furniture discounts. It’s part Mad Men, part Big Little Lies, and all style. 1395 Main St., Waltham, 781-899-6900, darbyroad.com. Once you’re tired of big-box stores, duck into Newton Decorative Hardware’s small-but-mighty boutique. They sell a well-edited, streamlined selection of glass knobs, brass hooks, and bronze pulls alongside unusual offerings (knobs shaped like mermaids). And despite the shop’s size, all the popular brands are represented: Colonial Bronze, Rocky Mountain Hardware, Water Street Brass. Can’t find what you want? They’ll customize or special-order it for you. 1015 Boylston St., Newton Highlands, 617-244-6300, newtondecorativehardware.com. Curated by friends turned business partners Kim Urquhart and Michelle Palmer, the wares at this Sudbury shop teem with rustic charm. Find scrubbed-pine tables and glass lamps with burlap shades alongside adorable curiosities, from pineapple knobs to grain-sack ottomans—so unfussy, relaxing, and welcome in a town short on shopping. 339 Boston Post Rd., Sudbury, 978-443-6815, laurelgroveshop.com. You’ll know you’ve arrived at Concord Lamp & Shade once you spot the crimson mannequin, sporting a lampshade on her head, out front. Inside, the inventory is equally colorful: Mod Currey & Company table lamps and blown-glass Simon Pearce pendants mingle with classic American-made shades by J. Harris Lampshades and whimsical creations for kids. Best of all, they create custom lights from beloved objects, fashioning golf clubs and musical instruments into luminescent home décor. 21 Walden St., Concord, 978-369-3000, concordlampandshade.com. Grungy bathroom tile? Outdated kitchen backsplash? Kick-start your renovation at Art of Tile & Stone, brimming with granite, slate, mosaics, and more. It looks like an art gallery, not a sterile showroom, and their staff—shout-out to soothing manager Joe DiMare, who patiently talked us through how to replace our retro kitchen tile work—is equally warm. 326B Washington St., Wellesley, 781-235-8453, artoftileandstone.com. We called the Four Walls for help with our stodgy dining room walls and immediately felt at ease. “Bring me pictures of the room, the fabric, the rug, the drapes!” owner Robin Abber enthused. When we asked if she had some modern options, Abber reassured us yet again: Her Newton shop carries more than 2,000 wallpaper books. “And I know ’em all,” she says. We believe her. 1001 Boylston St., Newton, 617-964-4440, thefourwallswallpaperanddesign.com.